The tale of N.W.A is multifaceted, encompassing the compelling personal stories of its members, while weaving in the social tapestry from which the group's revolutionary music emerged over its 10-year span. Even amid his thriving and long-sustained career as a chart-topping music artist and a quadruple threat in entertainment as an actor, writer, producer and director, Ice Cube, aka O'Shea Jackson, has always kept the notion of chronicling the rise of N.W.A tucked in the back of his mind. In 2009, Ice Cube came across a script that proved too tempting to overlook, and for the first time he jumpstarted the idea of a viable feature-film biography based on the group's experiences, ones that began almost three decades prior. 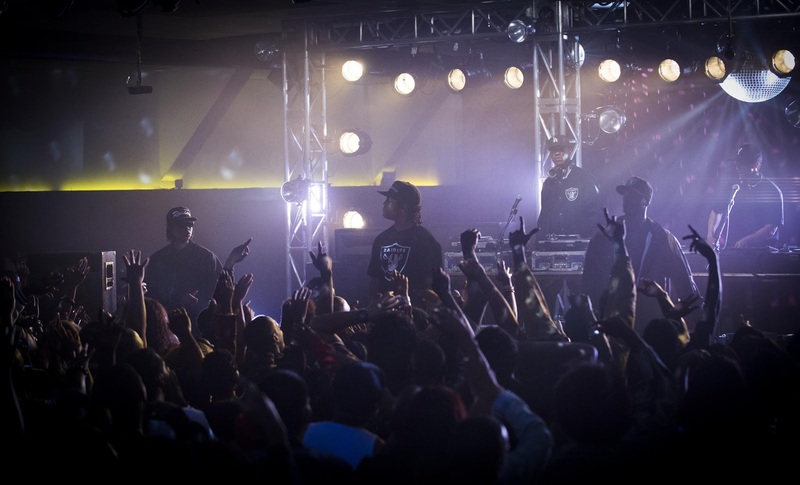 For Cube, there was no doubt that the filmed version of the N.W.A story would be dedicated to group founder Eric "Eazy-E" Wright, who had passed away in 1995. Cube reflects: "Thank God for Eazy, who had the vision and saw this music as the future, the records that people want to hear. He was so adamant about putting Compton on the map. He used to be like, 'Everybody, y'all in Brooklyn. Everybody, y'all got Queens in the house, the Bronx, uptown. Nobody here on the Compton. What about Compton?' He was adamant that he would put Compton on the map if that's the last thing he did." 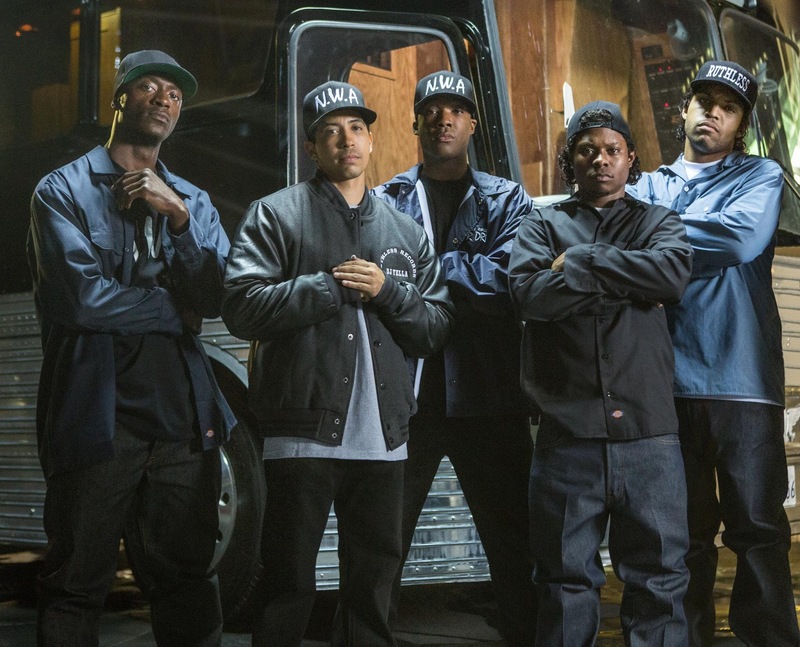 With the participation of key players-including fellow N.W.A member Dr. Dre and Eazy-E's widow, Tomica Woods-Wright, who would come on board as producers, and original group members MC Ren and DJ Yella, who joined as consultants, the team knew that they could do it right and pay homage to their story. The screenplay, entitled “Straight Outta Compton,” originated from several years of interviews and research compiled by music documentarian S. Leigh Savidge and screenwriter Alan Wenkus. That early draft would lay the foundation for what would become Andrea Berloff 's working version, who along with screenwriter Jonathan Herman's work, fine-tuned the material into the shooting script. Incorporating an abundance of recollections information garnered from all fronts, the writers' collective work was an expansive look at the life and times of N.W.A. At the forefront of everyone's minds was the belief that telling their story would uphold the legacy of their friend Eazy-E as the magnetic visionary he was. Eazy-E was the core of this group's foundation and would be depicted with respect. From the beginning, Eazy's goal was to portray life in the 'hood with frank lyrics by Ice Cube and infectious beats by Dr. Dre and create a new movement that evoked their experiences in Compton with an honesty that had never been expressed. He knew that they had something special, and together with DJ Yella and MC Ren, the five would make iconic music that would explode well beyond the povertystricken urban centers of America and attract attention around the world.